KATHMANDU, Oct 07: “We all should spread positive message about our tourist destination by maintaining cleanliness,” Minister Adhikari. 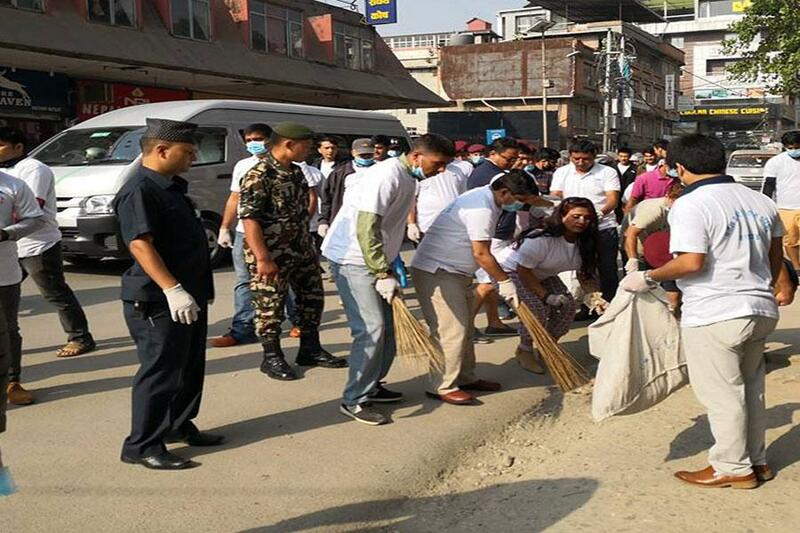 Thamel Tourism Development committee organized a cleanliness campaign in Thamel area. Ministry of Culture, Tourism and Civil Aviation, Rabindra Adhikari himself was one of the participants of the campaign. Speaking in the event, he urged all the people to keep Thamel area clean as it is one of the most popular Tourist destinations. Tourism entrepreneur , local residents, Nepal police were the participants of the campaign.